OUR COMMUNITY IS FRIENDLY & AFFORDABLE! 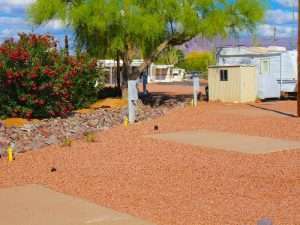 Oasis Junction Mobile Home & RV Park offers the ideal location to park your RV, 5th wheel, Travel Trailer or Diesel Pusher at an affordable price. 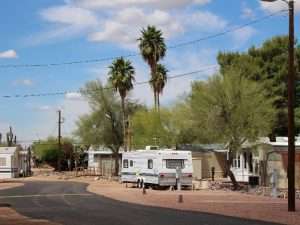 Our community is located in the center of Apache Junction just minutes from the 60 Freeway. Shopping, retail, restaurants and so much more are just minutes away! With views of Superstition Mountain and the surrounding desert you will be able to watch the brilliant color change as the sun passes overhead and sets to the west. 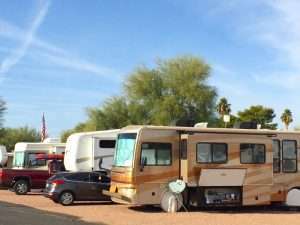 Enter your details on the right for more information about RV Space Rentals or call us today at (480) 310-1113. Looking to call Apache Junction home? 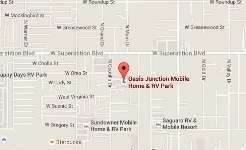 Oasis Junction Mobile Home & RV Park offers the perfect long-term RV space that can accommodate any RV, 5th Wheel or Travel Trailer. Our park is landscaped with many trees giving a lush green feel in the Sonoran Desert and providing welcome shade from the Arizona sun. With friendly neighbors and a fantastic environment, nothing can beat the quality of life our park has to offer. With a wide range of outdoor activities, local amenities and nearby attractions, you’ll find plenty to do with all the pleasures of Arizona living. Spaces are filling fast – Call (480) 310-1113 today and secure yours! Are you ready to live in a vibrant city with a small town feel, steeped in southwest history and beautiful views of the Superstition Mountain? 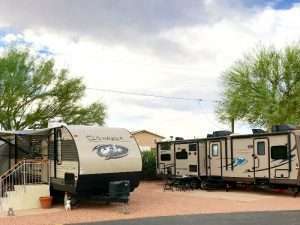 Call us at: (480) 310-1113 and let’s make our park your home.